Idaho State Police officials say troopers made the biggest marijuana bust in the agency’s known history after a semi-truck allegedly filled with nearly 7,000 pounds of marijuana plants was stopped between Boise and Mountain Home. ISP spokesman Tim Marsano said Tuesday the truck from Portland, Oregon was stopped on Jan. 24th -- as part of a routine, random commercial vehicle safety inspection. The driver's bill of lading -- a document that details the cargo in the shipment -- said the trailer was carrying 31 bags of hemp. Marsano says the trooper detected a strong odor of marijuana during the inspection. So he opened one of the bags and performed a field test. “The trooper observed a green, leafy substance which appeared to be marijuana,” said ISP spokesman Tim Marsano. “He used a Narcotic Identification Kit to test a sample, and it tested presumptive positive for THC. Additionally, the trooper called in an ISP drug-sniffing canine team; the dog demonstrated a positive alert on the cargo.” Currently, a sample of the cargo -- which officials said weighed 6,701 pounds -- is being tested at a laboratory for conclusive analysis. "This is the largest Idaho State Police trafficking seizure of this type in any present-day trooper's memory," said Colonel Kedrick Wills, ISP director. In 2014, troopers seized some 310 pounds of marijuana; in 2015, 458 pounds; in 2016, 507 pounds; in 2017, 1,375 pounds and, last year, 2,131 pounds, Marsano said. A Michigan State Police trooper found all this inside a car during a traffic stop on Sunday, including 52 grams of meth. The trooper made the stop near Houghton Lake in Roscommon Township. State Police say they believe the drugs were heading for other places across northern Michigan. It all happened just after 10 Sunday morning near Houghton Lake. A state police trooper pulled over a vehicle for a registration violation, but inside the car, the trooper found this,52 grams of meth and a stolen gun from Indiana. “ We really commend the trooper individual, in this case for going beyond that initial minor violation in the case of this traffic stop. That is a large amount of a very, very serious and dangerous drug that this effort has taken out of northern Michigan and you can’t overstate how important that is,” said Lt. Travis House with the Michigan State Police. Police believe that meth was heading to communities across northern Michigan and could be sold for $100 per gram with each gram containing about ten doses of meth. “That amount of meth being kept out of northern Michigan communities is a very big deal, that could be a very large number of people who are affected directly by that seizure, and who knows who’s hands that drug would have fallen into had it been dispersed,” said House. 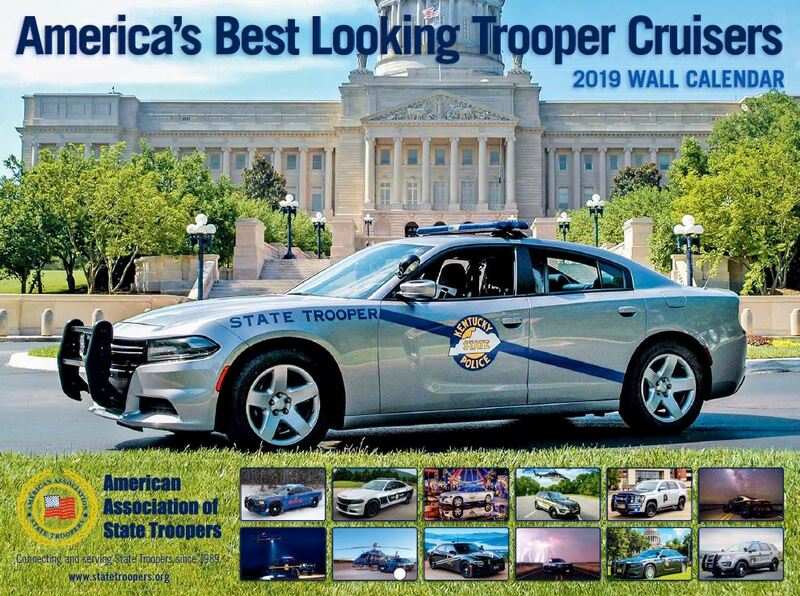 The Nevada Highway Patrol will be wearing new uniforms starting in 2019. NHP announced the team will be transitioning from a blue uniform to a gray uniform. This transition started back in 2017 and is now complete starting Jan. 1, according to the department. All troopers will be wearing the new gray uniforms as the blue attire will no longer be authorized. Lieutenant Camacho from Troop E- Miami-Dade Headquarters will show you the exterior and interior design of the patrol car. This video displays the new low profile, triangular design Federal Signal light bar and the new light package including all blue LED lights. AAST Foundation appreciates the support of Federal Signal - Platinum Sponsor and Dodge - Diamond Sponsor. 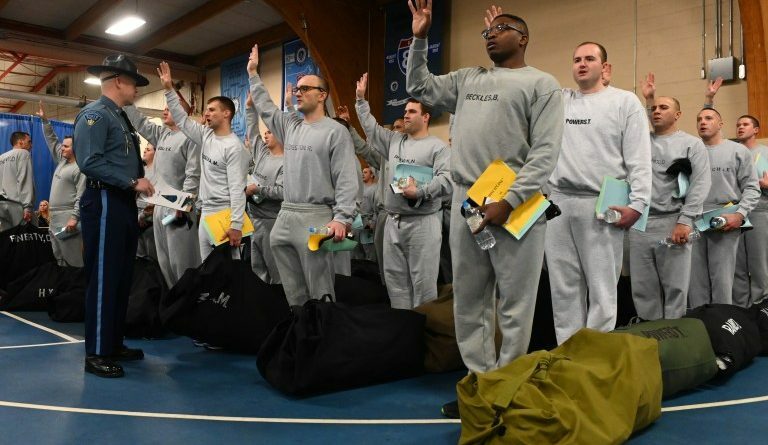 At 6 a.m., January 21, 204 trainees reported to the Massachusetts State Police Academy in New Braintree for the 84th Recruit Training Troop. Over the next 23 weeks, the trainees will undergo a rigorous program to prepare them to become Massachusetts State Troopers. Trainees who complete the 84th Troop will graduate and take their oaths to serve on June 27. In between today and that day, trainees will undertake one of the most intensive regimens of any police academy, anywhere, including police procedure, criminal law, motor vehicle law, physical fitness training, ethical standards, medical first aid, defensive tactics, emergency vehicle operation, and firearm use. The trainees will live at the Academy from Monday through Friday of each week, under the direction of the Academy Commandant, Executive Officer, Drill Sergeant, and Drill Instructors. 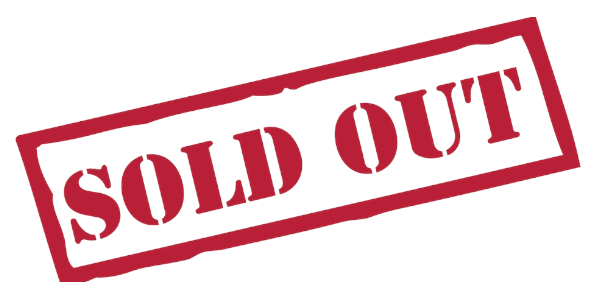 Training will take place in classrooms, where topics will be taught by subject experts; in the Academy’s gym and across its grounds, where physical training is held and defensive tactics are taught; in the firing range, and at the MSP’s Emergency Vehicle Operations Center in Devens. Additionally, trainees will be taught how to recognize impairment by alcohol or drugs and to perform field sobriety tests on suspected impaired drivers. 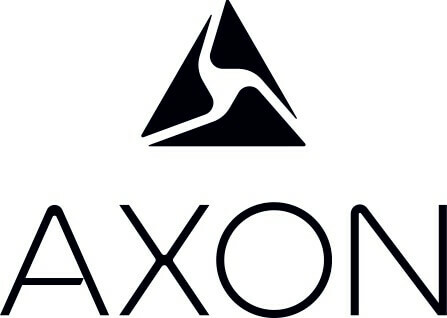 They will also be instructed in how to defuse volatile confrontations with hostile persons, to administer Naloxone, a drug used to treat overdose victims, and to use electronic control weapons, a less-lethal use of force that can subdue a violent suspect before the point where lethal force is necessary. Another major component of the Academy will be scenario-based training, typically held in the latter portion of each Troop. Trainees will respond to dozens of scenarios, devised by Academy staff and featuring role players, that simulate real-life police incidents. Scenarios typically include simulations of felony motor vehicle stops, searches for hidden contraband, confrontations with combative or armed suspects, domestic incidents, active shooters, and numerous other situations that police officers respond to every day. Many scenarios are held at Circle Drive, a grouping of homes on the Academy grounds that are used to replicate residences, business establishments, or other locations. Those trainees who complete the Academy and graduate in late June will be sworn-in as Massachusetts State Troopers and be assigned to road patrol duties at an MSP Barracks. They will spend the first few months of their careers assigned to a veteran Trooper, designated as a Field Training Officer, to further refine their training and test their performance. 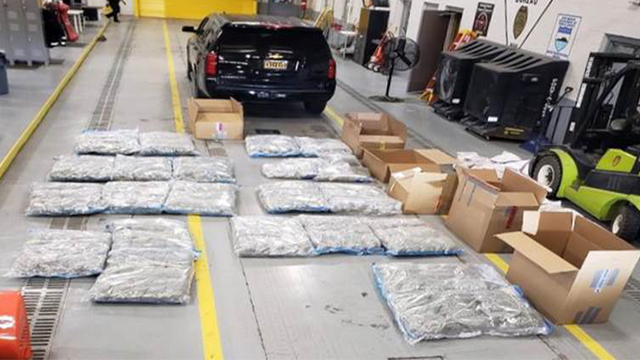 On January 15, 2019 the New Mexico State Police seized 391 pounds of marijuana out of a car hauler carrying two SUV’s at the Gallup port of entry. The very next day two men were arrested at the Gallup port of entry when State Police Officers found 381 pounds of marijuana and 183 pounds of drug paraphernalia in a commercial motor vehicle (CMV). While officers conducted a safety inspection on the CMV they observed fourteen large boxes and could smell a strong odor of marijuana coming from the trailer. State Police officers found 299 bags of marijuana, cannabis vape oil and loaded dispensers. Thoughts, prayers and well-wishes continued to mount Tuesday for a third-generation law enforcement officer who apparently dodged death during a traffic stop that went awry Monday evening, January 14. North Carolina Highway Patrol Trooper Daniel Harrell was shot in the face and rushed for medical treatment to Vidant Medical Center in Greenville, where he was listed in stable condition, Col. Glenn McNeill, commander of the State Highway Patrol, told WRAL News on Tuesday. "It's going to be a while before he makes a full recovery," McNeill said while standing outside the hospital. "The family would like to thank everyone for their prayers and the support they've been shown during this horrific ordeal." 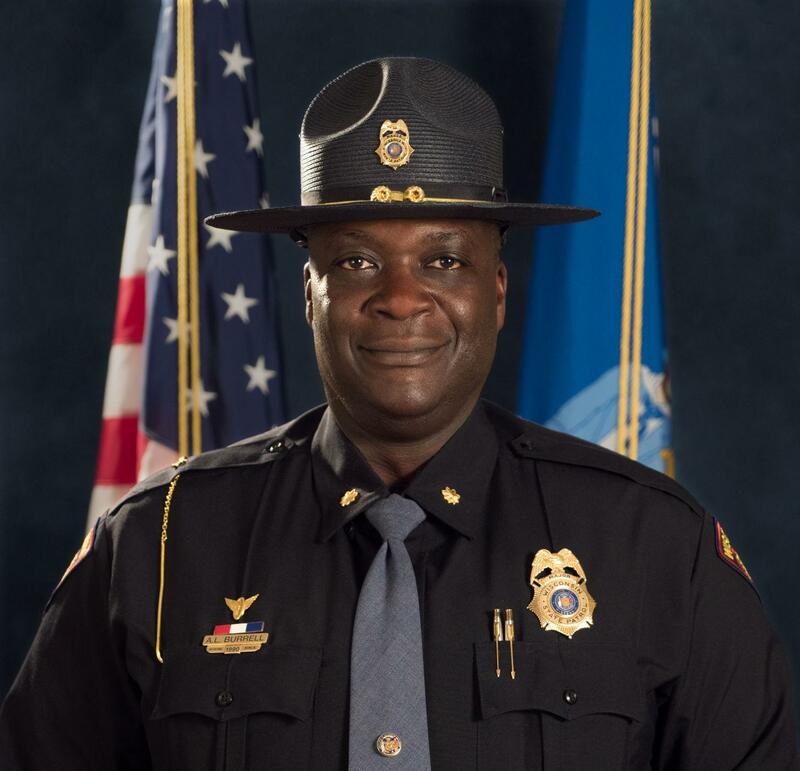 McNeill declined to divulge details of the trooper's injuries, saying only that, "We hope he will make a full recovery." Harrell's father and grandfather were also law enforcement officers, authorities have said. The younger Harrell has been on the force for five years. "He was born into the Highway Patrol family," McNeill said. "What took place the other night will demonstrate and show that our trooper is a hero (who) when faced with difficult odds, he relied on his training and did a phenomenal job working through what was a horrible incident." McNeill said he also spoke to Harrell's wife who, he says, is doing as well as can be expected. "She is shaken to the core, but she has a strong resolve to be there beside him and see him through a full recovery, and to see him back in uniform doing what he loves to do," McNeill said. Three men are facing charges in connection with the incident, which occurred at 5:15 p.m. when Harrell tried to pull a vehicle over on Haynes Road, southeast of Elm City. Trooper Christopher Lambert with the Illinois State Police was struck and killed by a vehicle while investigating the scene of a prior crash on I-294 near Willow Road in Northbrook. He was en route home when he encountered the three-vehicle crash on the left shoulder and stopped to render aid. He was standing outside of his vehicle when he was struck by another vehicle that failed to slow down or move over. A nurse who was on the scene performed CPR until rescue personnel arrived. He was transported to Glenbrook Hospital where he was pronounced dead a short time later. Trooper Lambert was a U.S. Army veteran and had served with the Illinois State Police for five years. He is survived by his wife, 1-year-old daughter, and parents. A California Highway Patrol officer was in the right place at the right time last Monday and delivered a baby on a Sacramento County freeway. CHP officer Jeffrey Lloyd was completing a traffic stop on the Fruitridge Road off-ramp from southbound Highway 99 at about 4:30 p.m. when a gray SUV pulled up behind him, according to a news release from the CHP's South Sacramento office. “Looked in my rear-view mirror and gray car came up and honked their horn at me,” Lloyd said. He thought the driver was lost. “I go up (on the) passenger side, contact the young lady in the right front seat and say, 'Can I help you?' and she said, 'I'm going to have a baby.' I said, 'Are you sure?' She said, 'Yes, I am,'” Lloyd recalled. Lloyd then notified dispatch, gathered medical equipment to help in the delivery and hurried back to the expectant mother. “She made one scream and there came the baby,” said Lloyd, who then unwrapped the umbilical cord from the baby's head and made sure both mother and baby were stable. Lloyd stayed with the mother and baby until the Sacramento Fire Department arrived. The mother and her healthy newborn daughter were then taken to a nearby hospital. “We're not just there to write tickets and get on them, but we're there to provide safety and service to them," Lloyd said. "Just glad I was able to do it. That's what I signed up for.” This has happened in Lloyd’s family before. His father helped his mother deliver his younger brother on a highway in San Bernardino more than 30 years ago. "Both the mother and daughter are in excellent health and resting," the CHP's post said. 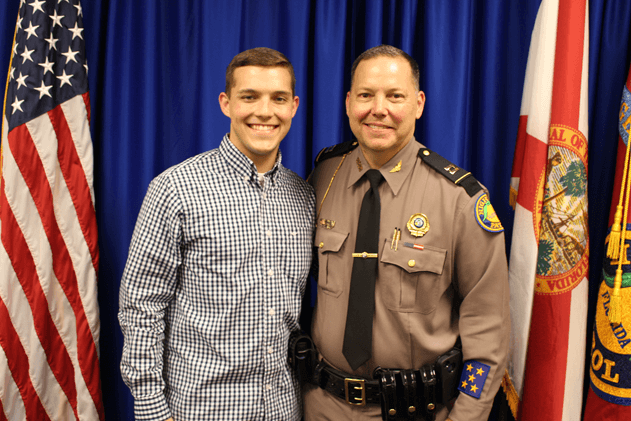 A Florida Highway Patrol trooper has returned to the job after he nearly lost his life when he was hit by a distracted driver in 2017. Trooper Carlos Rosario is getting back to life as he knew it, but nothing about Wednesday is normal. First, he reported for duty at FHP headquarters by helicopter. His return came after a near deadly accident on March 17, 2017. “On this day, my life changed due to an unfortunate traffic crash where I almost lost my life,” Rosario said. Rosario was working a detail on State Road 836 when a distracted driver struck and nearly killed him. Getting to this day has not been easy, but he’s had a lot of support. “During that time, I have often questioned if today would ever happen, but it has,” said FHP Maj. Chris Dellapietra. “Today is the day we welcome Trooper Rosario back to full active duty.” Rosario’s fellow troopers, officers from around South Florida, first responders with Miami-Dade Fire Rescue, some of the medical staff who helped save his life and his family were all by his side for this special day. “Welcome back, brother, glad to be a part of it,” said Miami-Dade Fire rescue Chief Dave Downey. “During the past 14 months, I’ve had multiple surgeries, learned to walk, talk and rely on others for basic life needs,” Rosario said. Rosario said he relied heavily on his faith and counts that as a big reason why he’s here today. “Let’s love, and let’s help each other like we are destined to do. God bless you and thank you. Jesus lives,” he said. The FHP director was also on hand to announce that Rosario will be promoted to a corporal rank. That promotion will take effect Feb. 1. 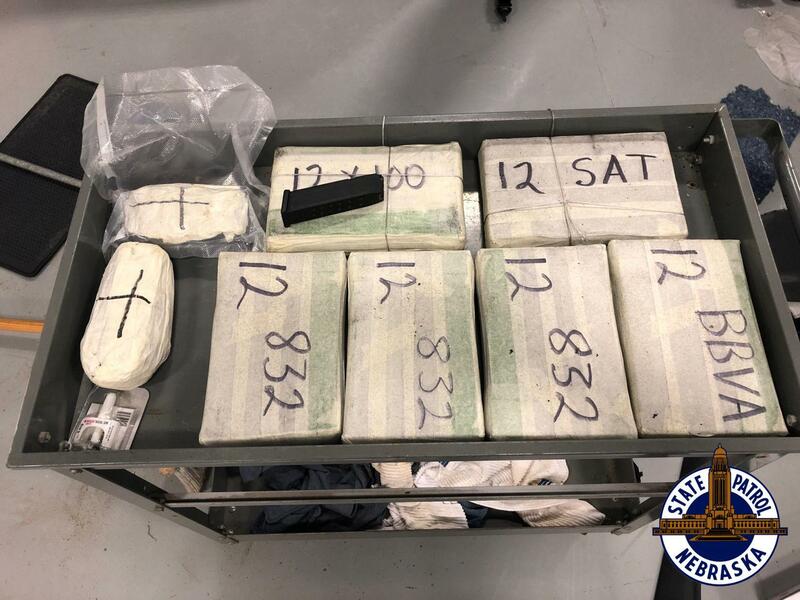 A Nebraska State Patrol trooper found 13 pounds of cocaine and three pounds of heroin and arrested two men Sunday following a traffic stop on Interstate 76 just north of the Colorado border, the agency reported Monday. At 3:43 p.m. (MST), the trooper pulled over an eastbound Nissan Sentra for speeding at mile marker 2, spokesman Cody Thomas said in a news release. "During the traffic stop, the trooper detected criminal activity and conducted a search of the vehicle," Thomas said. The cocaine and heroin were found under the manufactured floor beneath the front seats of the car. Of 59 new Illinois state troopers set to begin work Monday, eight are headed to East Central Illinois. Illinois State Police Director Leo P. Schmitz commissioned the troopers at a graduation ceremony Friday in Springfield. Cadet class 128 completed 27 weeks of training in physical and classroom instruction. Topics covered included cultural diversity, domestic violence, critical-incident response, firearms, control and arrest tactics, juvenile and criminal law, the Illinois Vehicle Code, motor carrier safety, and more. The probationary troopers will now participate in 14 weeks of field training with a mentor trooper before being sent out on their own. The 59 new troopers are being parsed out to 16 state police districts. The new troopers raised $3,600 for Special Olympics Illinois and donated 52 units of blood to the Central Illinois Community Blood Center. The town manager of Narragansett, a former high-ranking trooper, has been appointed Rhode Island’s next state police superintendent. Gov. Gina Raimondo’s office on Thursday announced the selection of James Manni as the next head of the state police. He is set to replace Col. Ann C. Assumpico, whose retirement was announced on Monday. “I’m very excited at the realization I will be going back to the Rhode Island State Police as the superintendent,” Manni said Thursday, calling it every state trooper’s dream. “It’s such an honor to be considered for the position,” he said. Manni, 57, of South Kingstown, said he planned to meet with Assumpico and reevaluate the force he retired from in 2015 to assess areas in need of improvement. Manni said he gave the Town of Narragansett notice that day that he was voluntarily resigning. The three-year contract he signed with the town requires that he give 60 days’ notice, meaning he will continue in his capacity as town manager for up to 60 days. “I want this to be as seamless a transition as possible for the town” and its residents, he said. “Major Manni has had a long and respected career serving the state in law enforcement and local public service,” Raimondo said in a written statement. “He will undoubtedly continue the rich tradition of service at the Rhode Island State Police.” Assumpico, in a statement released Thursday afternoon, said: “I am pleased to pass the torch to James Manni, a fellow trooper and command staff member, who will continue to build upon the legacy of the Rhode Island State Police while maintaining the traditions of excellence that have made it one of the most respected law enforcement agencies in our country. I wish him all the best in his new role. During his tenure in the state police, Manni won a service ribbon in recognition of his role in a 1991 chase on Route 95 through Providence. Manni and other troopers were chasing suspects involved in the robbery of a grocery store when the suspects opened fire, police said at the time. Manni, a passenger in one of the cruisers, returned fire with a shotgun, according to Journal archives. Nobody was hit, and the troopers, Manni among them, were recognized for maneuvers that kept other motorists safe. He was also one of the first-responders on the scene of The Station nightclub fire in West Warwick.